Advanced photonic materials are allowing experts to take solar sailing to a completely different level. Check out how these new materials could allow for interstellar and interplanetary space travel. Could a new #NASA satellite be powered by a #solar sail? The future is here, and thanks to renewable #energy such as solar, we have a great deal of power in our hands – so, in short, the answer is yes. When you think of spacecraft equipped with sails, you likely think of sci-fi movies. But solar sailing is being taken to an entirely new level thanks to researchers at the Rochester Institute of Technology. It all circles around advanced photonic materials – #metamaterials – and inventive persons who recognize the potential impact of #solar power. 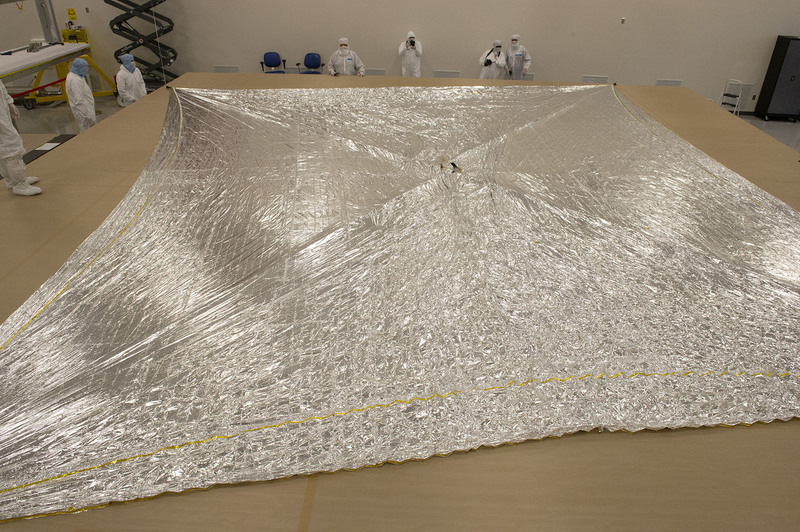 #Solar sails are about to become huge. Solar sails could be getting a leap forward thanks to metamaterials, which are a new class of man-made structures. Reflective metallic sails could be replaced with diffractive metafilm sails, as per ground-breaking Rochester Institute of Technology professor in Chester F. Carlson Center for Imaging Science, #Grover Swartzlander. Why? These new materials could be utilized in order to steer transmitted photos for near-Earth, interstellar and interplanetary space travel. Grover Swartzlander, who is the head of an investigative study backed by phase one funding from NASA’s Innovative Advanced Concepts program, mentioned that diffractive films could be designed in a calculated manner to replace mechanical systems prone to failure. How? The answer is lighter controls and no moving parts. Swartzlander’s solar sails would be utilized to provide power for CubeSats, which are small satellites that are quite popular due to their low cost. The first #CubeSat science mission to have attached sails will be NEA (Near-Earth Asteroid) Scout. CubeSats are quite important when it comes to security, science and viable purposes. We have the potential to station-keep, raise and even de-orbit CubeSats from low Earth orbit, which is a big game-changer. NEA Scout is one of 13 satellites which, as part of NASA’s Exploration Mission-1, will conduct technology and science investigations. Exploration Mission-1 should launch this year on the Space Launch System rocket, and it has a sail coated in aluminum polyimide that will reflect sunlight. There have been previous limitations when it comes to reflective metallic sails, such as an extreme tilt of the spacecraft and overheating. However, these drawbacks could now be rectified due to lesser absorption, the recycling of photons, and better orientation (reflective sails work better when the spacecraft is slanted, but this orientation lessens the projection of solar power on the sail – diffractive sails, on the other hand, keep a better position facing the sun). Creating a sail that would be able to harness energy from the sun to fly through space was previously believed to be impossible. But solar sails are actually quite possible, thanks to innovative individuals who recognize the power of solar power. Could solar sails for CubeSat, which will study asteroids near Earth be one giant leap for mankind? Perhaps! Studying asteroids close to Earth is important and pioneering – using solar to do so is even more revolutionary. Follow solar news to stay in the know when it comes to solar sailing technology for NASA – you are sure to be impressed with what you come across! Solar and other renewable energy sources are going to continue to change how we do things on our beautiful planet – and now, solar is going to have an impact on the way we operate in outer space. Talk about taking things to solar heights! Previous articleSolar Power: The Next Big Thing for Arkansas?